With most emergency vehicles lacking in light rigging or space, our Interior LED Visor Light Bars are an excellent addition to any vehicle that requires sufficient, yet relatively concealed illumination. Boasting sleek housing, our selection of Interior Light Bars fit right up to your windshield or sun visor for a stealthy look. Each of our Visor lights and dash lights has a variety of options and functions that you can use for a range of purposes. We use LED lights for intense light output. When you switch on the LED Visor light bar, you’ll flood the area with three watts of light shining from the passenger and driver sides. That’s almost as much as a full size light bar for trucks. Simply plug in the power source to the lighter jack and you’ll have the light you need. 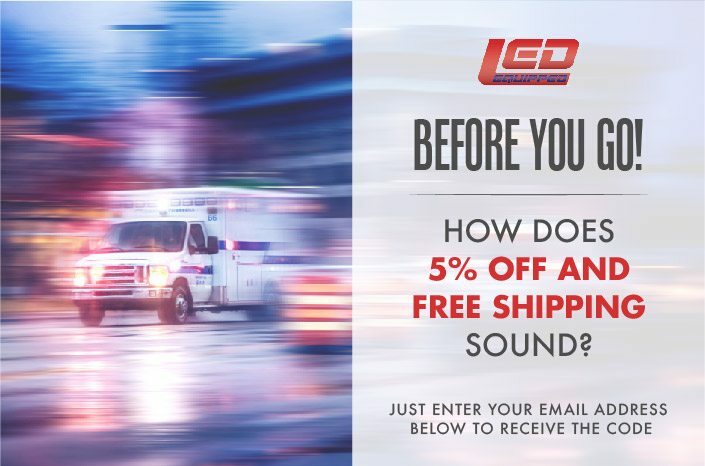 In addition, our low-profile LEDs offer superior output and multiple flash patterns to meet the needs of all emergency units. All our emergency visor lights are easy to install and mount quickly, as well. If you want a strong light but don’t want the visibility of emergency lights on your professional unit, then our police visor light bars could work for you. Order today through this website.